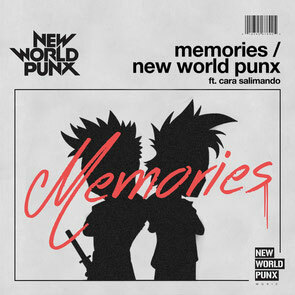 New World Punx – aka Markus Schulz and Ferry Corsten – recently released their new single ‘Memories’ ft. Cara Salimando. This is the first official vocal track from the duo; out now via ‘New World Punx Music’ through Black Hole Recordings. The track has been recently road tested to crowds across the globe during both the pair’s solo and joint sets. Layering the vocals of Cara Salimando alongside euphoric chord progressions and melody, Schulz and Corsten have possibly delivered another big room tune. Having already put in appearances at some key venues, from Tomorrowland to EDC and Ultra to Stereosonic, the act has been progressing well. They were also recently confirmed for the huge Coachella festival this April, as they continue to make their mark on the scene. Pretty section of content. I just stumbled upon your website and in accession capital to assert that I get in fact enjoyed account your blog posts. Any way I'll be subscribing to your augment and even I achievement you access consistently rapidly.